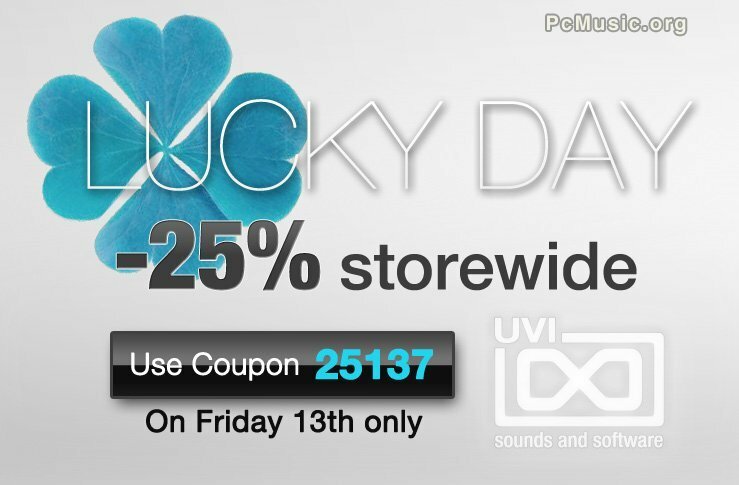 UVI is pleased to launch a 24-hours deal this Friday 13th, 2012, the "Lucky Day" deal. Friday the 13th? No bad luck! UVI is offering 25% off storewide. Promo valid for 24 hours on July 13th, 2012. Download only.